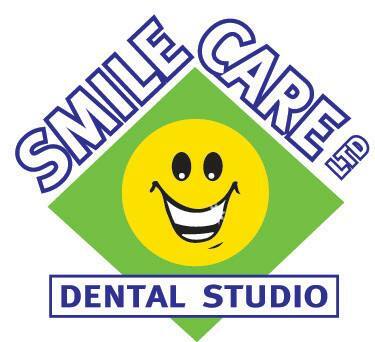 Smile Care Dental Studio. Why do my teeth hurt? How do you relieve toothache? Experiencing tooth pain? How do you relieve toothache? Are you wondering why your teeth hurt? If you have aching teeth, it may be due to a dental problem such as cavities, gum disease, tooth wear, TMJ dysfunction or a non-dental problem, such as a sinus infection or even stress. Damaged Teeth - Your toothache pain could be caused by a cracked or broken tooth. Every time you bite on that tooth and get that sharp twinge of pain, the crack is getting deeper and deeper in to the tooth, causing more and more pain. Sometimes it can split the tooth completely! If this sounds like your pain contact us as soon as possible. Decayed Teeth - Like a rotten apple, sometimes the hole on the surface of your tooth may be very small, but underneath the surface, the tooth decay bacteria are eating deeper in to the tooth, and as they get closer to the nerve, the pain gets worse. Don’t wait until then, contact us if you’re getting pain. Gum Disease - Sometimes bacteria build up along the gums of the teeth. If they are there for long enough, they start to burrow deeper under the gums. As they get deeper, the bacteria create an infection that eats away at the bone that holds your tooth. This makes your tooth loose, and so every time you chew on it, it forces more and more bacteria under the gum. This gum infection can cause pain and tooth loss. Contact us if this sounds like the pain you have. Tooth Wear - If you have aching teeth with no signs of tooth decay or gum disease, you may be experiencing tooth wear through bruxism. Bruxism is the technical term for grinding your teeth. Bruxism is a common cause of aching teeth that affects millions of people of all ages in the world. If you experience aching teeth and other symptoms of bruxism, contact us as soon as possible. If left untreated, chronic tooth grinding can damage crowns and fillings, and wear away tooth enamel, putting your teeth at increased risk for infection or decay. Causes of bruxism that lead to aching teeth include crooked teeth, poor jaw alignment, and stress or anxiety. If bruxism is due to misaligned teeth, straightening your bite with orthodontics could help solve the problem. But if bruxism is due to chronic stress, stress management techniques may be needed to help relieve your aching teeth. Temporomandibular Joint (TMJ) Dysfunction - If you're stressed to the point of clenching your jaw and grinding your teeth, you can develop tooth pain associated with the temporomandibular joint (TMJ) dysfunction. The TMJ is the joint that hinges the lower jaw to the skull, enabling you to eat and talk. Clenching your jaw and grinding your teeth put additional stress on the muscles of the jaw, which can cause tooth pain. If your tooth pain is caused by TMJ syndrome, contact us to help you nurse the jaw joint. In the interim, warm compresses applied to the jaw, eating soft foods, and taking measures to reduce stress can help.